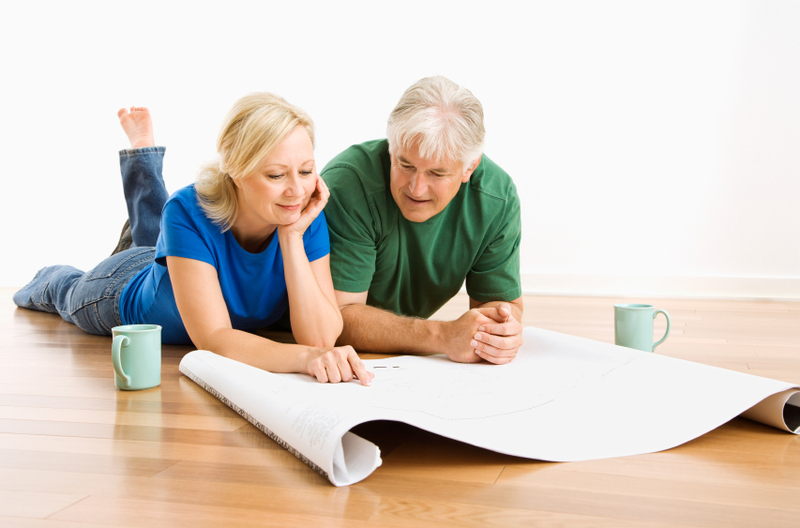 Which Floorplan Is Right for Your Family? Delaware is often referred to as the hidden gem of the U.S. and Middletown in particular is known for its excellent school system and family friendly atmosphere. That’s why Montchanin Builders is pleased to announce the availability of family homes in our masterfully planned community, The Town of Whitehall in Middletown, Delaware. The Town of Whitehall is beautifully located on the south bank of the Chesapeake and Delaware Canal. This walkable community nestles attractive and well-appointed homes within the backdrop of parks, walking trails, playgrounds, and coffee shops. If you’re planning a move to Delaware, Montchanin Builders invites you to explore our exclusive floorplans for single family and custom-built homes in the Town of Whitehall. Begin your tour of the Town of Whitehall with a peek inside The Salisbury. This home exudes hospitality before you even set foot inside. Enter the home from an eight-foot deep front porch and traverse the spacious foyer to the open great room. This open concept floorplan features a convenient flex room to accommodate your family’s lifestyle. It boasts a gourmet kitchen, breakfast nook, and first-floor master suite. Upstairs, you’ll find three bedrooms, two full bathrooms, and upstairs laundry, and even a large recreation room for the kids. The Cambridge also features an inviting front porch and you may decide to add a side porch if you wish. Enter the welcoming foyer from the porch and proceed to the open family room, which looks out upon the spacious kitchen and breakfast nook. On the second floor, the master bedroom features his and hers walk-in closets and a luxurious master bath. This floorplan can accommodate up to four bedrooms. If you’re in the market for curb appeal, The Albin has it in spades. The Albin is ideal for senior homeowners and those with disabilities because it offers all the convenience of one-floor living with an optional bonus room on the second floor. This floorplan welcomes guests to relax in the open great room or back porch. Consider customizing The Albin with an optional front porch and eye-catching dormers. As an added bonus, The Albin features plenty of storage space. Like The Albin, The Chesapeake offers the very best in one-floor living with an inviting open-concept floorplan. Choose from exterior options that include front porches and covered back porches. As you enter the front door, you’ll come upon a sitting room that is perfect for catching up with friends. Or, proceed to the living room to relax by the fireplace. The Chesapeake boasts a spacious gourmet kitchen with a pantry and island. The attached two-car garage provides another convenient entry point for families; it opens up directly into a mud room. Choosing The Chesapeake gives your family lots of opportunities to personalize your space. Montchanin Builders makes it easy for families to own a beautiful new home in a friendly community. If you’re interested in The Town of Whitehall, Darley Green, or our other move-in ready homes, you can give us a call today at 302.723.9348 to set up a tour!